What sustainist design is and can become is up to all of us. That’s why we explicitly invite you, designers and non-designers, to join and think along so that we can add meaning to the concept together. Sustainism represents a cultural perspective that brings into view how things are changing in the way we live, consume, and produce. 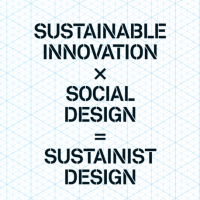 Looking at social design through the “lens” of sustainism highlights a number of attributes for design and designers. We have focused on four design qualities that we see as key:connectedness, sharing, localism and proportionality. As befits the sustainist age, we are sharing and borrowing: there is more than a decade of research and development turning the design agenda towards social goals and ecological sustainability. 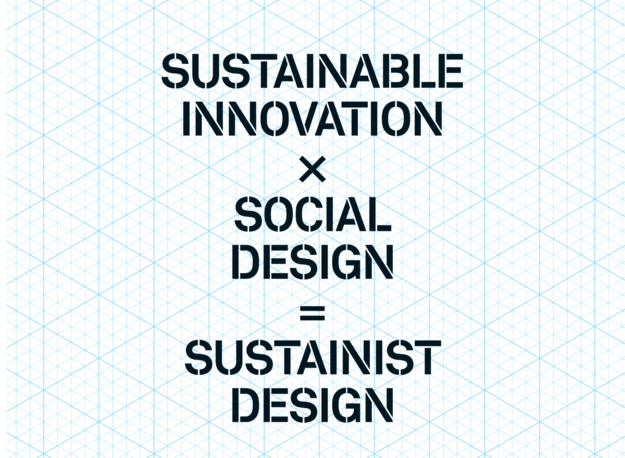 Hence, in exploring the question “What is sustainist design,” we gladly refer to the many pioneers that have focused their thinking on “design for social innovation” and “design for sustainability.” Sustainist design is building on the ideas of Ezio Manzini (Design for Social Innovation and Sustainability, Sustainable Everyday Project), John Thackara (Dott’07, In The Bubble: Designing In a Complex World, Doors of Perception), Charles Leadbeater(We-Think, Mass Collaboration), and many others. So while we challenge you to add to the definition of sustainist design, you do not have to start from scratch. As the name of this project reveals, our perspective on social design builds on some of the ideas in Michiel Schwarz’s and Joost Elffers’Sustainist Manifesto. It is the starting point for formulating the defining values that are transforming social design into sustainist design—starting with four that we have used to kick off this project: connectedness, localism, sharing, and proportionality. Nonetheless, surely more may follow.